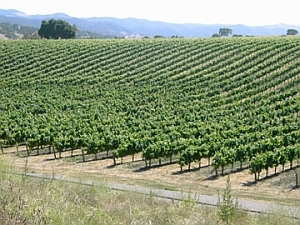 This vineyard, located in eastern Santa Ynez, was planted in the fall of 1999. It is comprised of approximately 250 acres of vines, with a plethora of varieties planted, including syrah, grenache, mourvedre, cinsault, counouise, carignan, grenache blanc, viognier, marsanne, rousanne, and more. 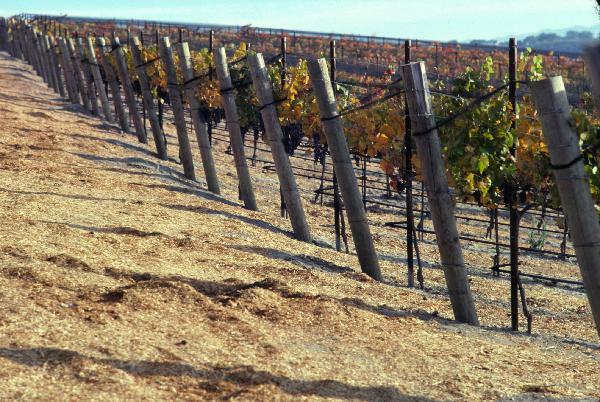 The warmer climates and loam soils of this site have already shown what they can produce for leading wineries including Fess Parker, Epiphany, Tensley, Alban, Curran and more. We source grenache, mourvedre and grenache blanc from here. The southern most vineyard in Ballard Canyon, a north/south canyon in the Santa Ynez Valley, is Larner Vineyard. This vineyard was created when Stevan and Christine Larner bought their 133-acre ranch in 1997, fulfilling a dream of owning a vineyard with their children. A Hollywood cinematographer whose credits include "Roots" and "Winds of War," Larner had lived in Italy and so planted a little Malvasia Bianca, one of his favorite grapes, along with the Rhone varieties more typical of the region. They planted approximately 60 acres in the nearly entirely sandy soil. The site and wines produced from their have garnered a tremendous amount of attention from leading reviewers, newspapers, and magazines. Leading wineries that purchase grapes and produce wines from here include Jaffurs, Herman Story, Paul Lato, Bonaccorsi, and many others. We currently source both syrah and grenache from here. 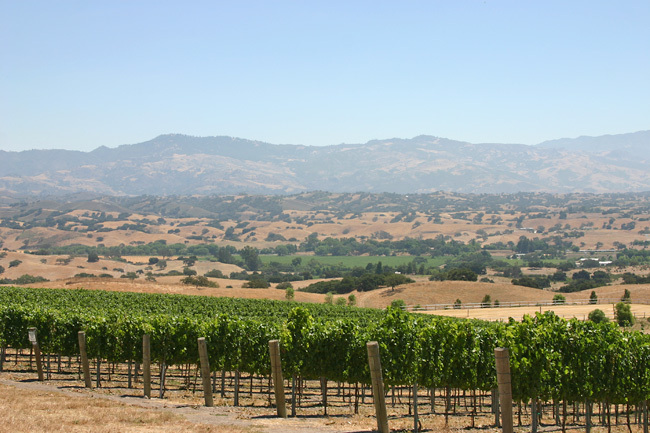 This vineyard also lies along with Ballard Canyon area of the Santa Ynez Valley, but is the northernmost vineyard along the canyon. It's soils are somewhat varied, with bits of limestone, but it's mainly gravely loam. It is a beautiful vineyard to see, seemingly rising up to the sky. We purchase syrah from this wonderful vineyard. The grapes from this vineyard produce chunky and fruit-driven wine in its youth and, with a few years in bottle, develops complex animal notes and subtle Indian spices. The level of viticulture (from Jeff Newton and team) is amazing with the soils depleted of nutrients and the vines rarely crop over 2.5 tons per acre even in the most robust of years. Planted in the late 90's and maintained by Coastal Vineyard Care, one of the leading vineyard management companies in the state, this vineyard is planted on a rather steep south-east facing hill. The soil is sandy loam, and the climate is rather cool, with the fog oftentimes settling into the area at night and through mid mornings. It then heats up nicely during the day, leading to grapes that have dark colors and great natural acidity. We currently purchase grenache from this vineyard.